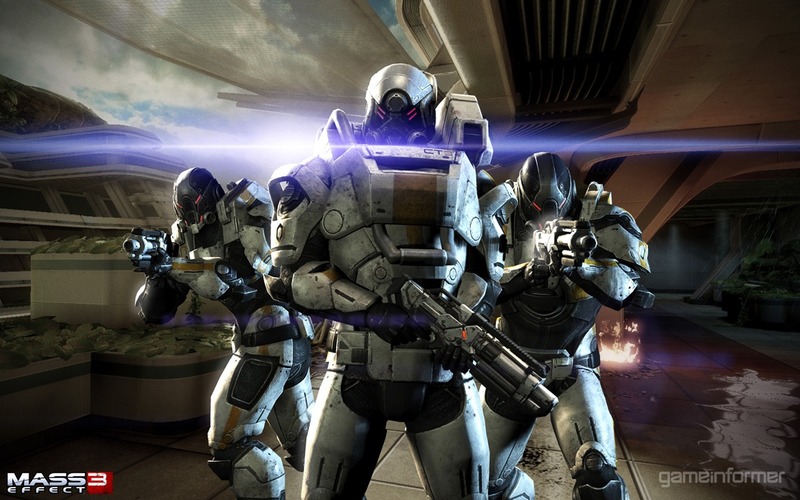 Get a close look at the Cerberus forces that oppose Commander Shepard in the first duo of Mass Effect 3 screenshots. Get ready, because BioWare has released our first look at in-game footage of Mass Effect 3. It's in the form of just two screenshots, but hey, that's better than nothing. Game Informer was given the pair of exclusive shots that show Commander Shepard in action. In them, he's fighting the forces of Cerberus on the Salarian homeworld. 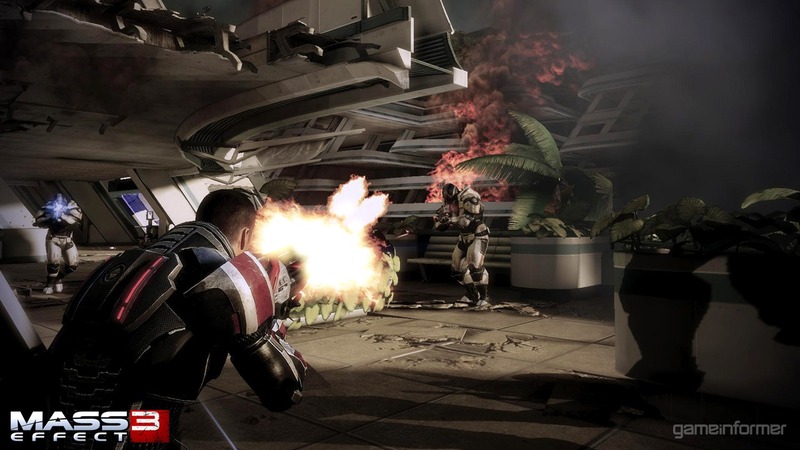 It was previously revealed that Cerberus turns on Shepard in Mass Effect 3 after he worked closely with the human-first organization in Mass Effect 2. Mass Effect 3's first trailer showed us that Shepard will have to deal with that while also figuring out how to save Earth from invading Reapers. The screens show that Cerberus is seriously armored up in Mass Effect 3. I don't know how they can see out of those helmets. Shepard at least knows how to play it cool without headgear, just like his old self. We don't get a lot from these screens, other than the confirmation that Mass Effect 3 will have shooting, weapons, armored dudes, potted plants, and some serious flare effects. Hopefully a better look at the game is coming along soon. Mass Effect 3 is scheduled for release on the PS3, Xbox 360, and PC in late 2011.